The daughter of Che may share his iconic name but she is a Cuban legend in her own right. She spoke about Latin American integration, Cuban internationalism the need for solidarity at four sessions during Latin America 2014 on Saturday 29 November, and her presence helped make it not only the most well-attended in the conference’s ten year history, but also one of the most inspirational. The daughter of Che, Aleida Guevara, in London to address today the Latin America Conference, spoke to Ollie Hopkins about Cuba’s role in the developing world, the US obstacles to its development and the Miami Five anti-terrorists. This World Health Organisation film looks at the first of the Cuban health workers who arrived in Liberia in October to help fight the Ebola outbreak. 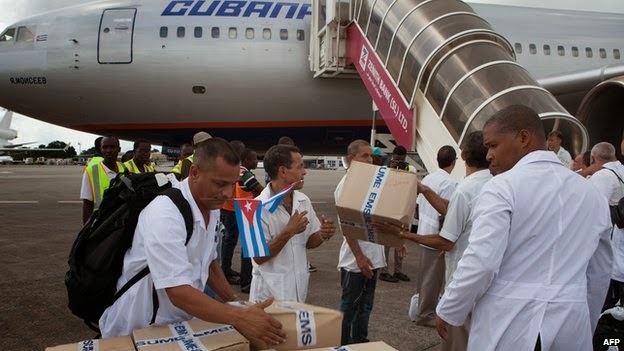 The Cuban team consists of nurses, doctors, epidemiologists and intensive care specialists. Having received an initial Ebola training in Cuba, all team members received a second training in Liberia on how to work in an Ebola treatment unit. 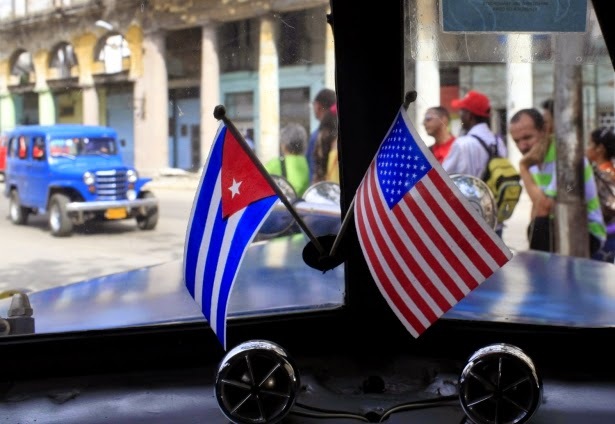 When was last time in recent memory a top US official praised Cuba publicly? And since when has Cuba’s leadership offered to cooperate with Americans? It’s rare for politicians from these two countries to stray from the narratives of suspicion and intransigence that have prevented productive collaboration for over half a century. Yet that’s just what has happened in the last few weeks, as Secretary of State John Kerry and US ambassador to the United Nations Samantha Power spoke favorably of Cuba’s medical intervention in West Africa, and Cuban President Raúl Castro and former president Fidel Castro signaled their willingness to cooperate with US efforts to stem the epidemic. A Cuban doctor treating Ebola patients in West Africa is to be flown to Geneva after testing positive for the disease. The diagnosis comes after a seventh Sierra Leonean doctor died of the virus. 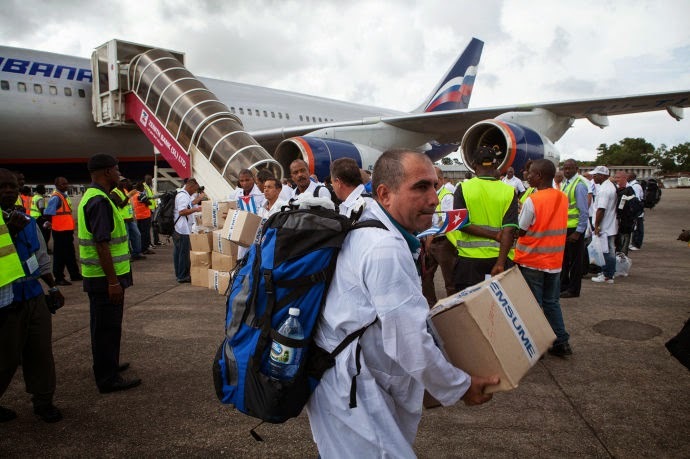 The doctor, identified by Cuban state media as Felix Baez, is part of the 165-member medical team Cuba sent to Sierra Leone in October to help fight Ebola. He is the first Cuban to contract the deadly virus. 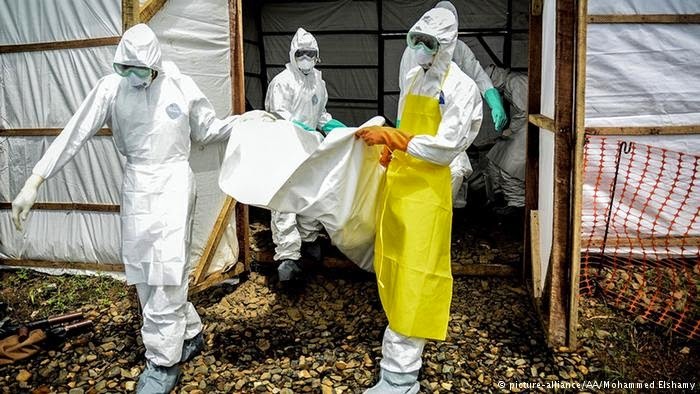 Secretary of State John Kerry and the American ambassador to the United Nations, Samantha Power, have praised the work of Cuban doctors dispatched to treat Ebola patients in West Africa. The Centers for Disease Control and Prevention recently sent an official to a regional meeting the Cuban government convened in Havana to coordinate efforts to fight the disease. In Africa, Cuban doctors are working in American-built facilities. The epidemic has had the unexpected effect of injecting common sense into an unnecessarily poisonous relationship. Amid the worst Ebola outbreak of our time, it has been the small island nation of Cuba that has provided arguably the most impressive policy response. Instead of offering financial assistance to those West African nations most in need, the Cuban government has focused on providing skilled healthcare workers passionate about helping Ebola victims. The Cuban response is based on a combination of pre-existing government commitments to the provision of universal healthcare, the establishment of a medical education system emphasizing service to others, and Cuba's efforts to bolster its international reputation.